Earlier we talked in detail with Tore Stjerna (Deströyer 666, Inferno, Mayhem, Shining, Watain, etc.) about the main members of the studio recording process, discussed the mistakes of home production with the producers of Alestorm, Aborted, Ghost, My Dying Bride, Opeth, Powerwolf, and Sunn O))), as well as overviewed 7 services that allow you to earn money on your music. Today we want to talk about 4 simple steps that will help you to write press releases about the news of your band, and also to share the advice and experience of our expert Diogo Ferreira — the chief editor of the Portuguese printed magazine Ultraje. Level of interest and importance of the event. Will your news be interesting and significant to others? Harmful example: Another lineup changes of a little-known band, unsupported by other news like an album release or info about an upcoming tour. Relevance. 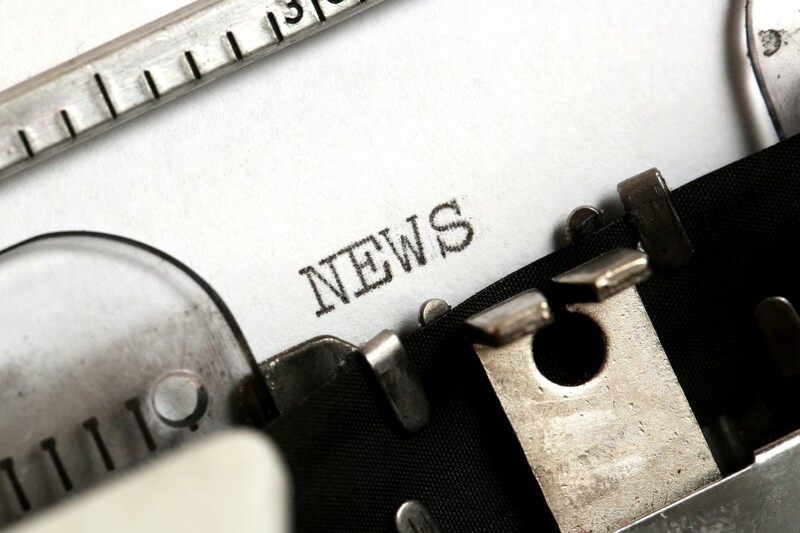 News is the most perishable goods, so do not delay with sending press releases. Harmful example: Sending for review an album released a couple of years ago. Benefit. Will be the information that the journalists publish benefited the group? Harmful example: Giving rash, spontaneous comments about a band or unrelated to it events. If you think that the news is relevant, it will be interesting to others and its unveiling will benefit your group — then feel free to compose a press release. The basis for writing a press release is news, so your task is to maximally and clearly convey it to another person, in your case — a journalist and a reader. While writing a text, you can focus on the following standard questions What? — Who? — Where? — When? — Why? — How?, also called 5W1H. If your news answer at least a few of them — then you are on the right track. Brevity and avoidance of empty words in the text are closely related to the preceding paragraph. Try to convey your thoughts as briefly as possible, but not at the expense of informativeness. 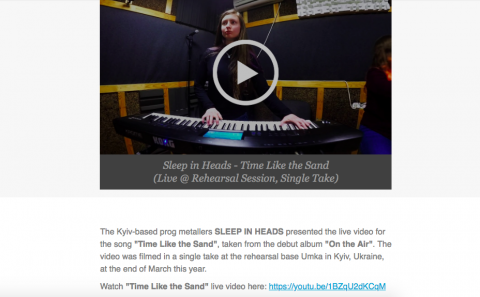 If the news is about an album release or a tour — they should be the subject of your message. The news about an album release can be supplemented with information about people who took part in the recording process (session musicians, sound engineers, producer, etc.). Add a comment about an album, tracklist, cover artwork, recording studio, info about upcoming tour dates in support of the release, etc. And also don’t forget to send with a press release a band’s press photos and an album’s cover. Don’t get carried away with additional information (for example, do not post band’s bio in details) and a prolonged introductory paragraph (especially when it doesn’t respond to a few 5W1H questions), if this distracts from the main newsbreak and confuses the potential reader. Remember that the subject of your press release should be reflected in its headline and introductory paragraph. More detailed information, for example, a band’s biography, a list of discography or video clips, are better to add in the last paragraph or send them as a separate file (or just a link to such file). An important moment, which most PR persons, managers or musicians do not realize, is the number of press releases that music zines regularly receive. For example, Noizr Zine got more than 100 promo emails only for the first 10 days of this May — and this is without taking into account messages on Facebook. If we talk about major media, then the number of press releases that they receive should be multiplied by a few hundred, if not more, times. Convenient way (ways) to get acquainted with promo materials (see below). Use generally accessible services to host music. Upload audio, video clips, live footages, promo videos on one or a few public platforms (YouTube, Bandcamp, Vimeo, SoundCloud, etc.) and add links to these files into your press releases. Before sending a promo to a foreign website or magazine, do not forget to check what music services are not available in their country (for example, Spotify is not available in CIS countries, China, etc.). It should also be noted that a very small percentage of journalists will download files on their computer from an unknown band, manager or promo agent, not only for security reasons but also because of the limited space on the PC. If you are submitting an archived album for review, then add a link to its teaser, trailer or song. If, for example, you want to offer webzine an exclusive presentation of your music video — then upload it to YouTube with an access by the link. Add links to all official pages. Even if you send the news not about a new album, single or video, but, for example, about an upcoming tour, still add links to your music, video clips and so on in a press release. Only a well-written information about an unknown for a journalist band is not enough. Also, always add links to your website, pages on social networks, your label's website (if you have one), and links/contacts where one can buy your music. Take care of the convenience of working with text and graphics files. 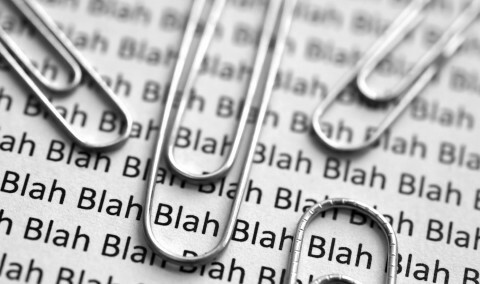 It’s better not to reinvent the wheel, and send a text of a press release, using an old proven method — by attaching a Word document to your email. Do not use PDF or any other format for sending a text, but just an old-good Word file. Do not insert pictures and photos into a Word document, send links to their downloading, or attach them to email in a separate file and in good resolution. Also, you can send a press release as an ordinary email or message in social networks, the main thing — remember about the formatting to make your text easy to read. The journalist should be able to quickly get acquainted and use your news for publication. Nobody will download Adobe Acrobat to read your PDF file or pick out photos of the band from the Word document when there are other dozens of unread emails. Translate a press release if it’s necessary. Before preparing a press release, do not be lazy to look at in what languages the editorial staff publishes their materials. If you are making an English-language news mailing for international zines — do not send such letters to your local editors (if they post news exclusively in Ukrainian, French, Chinese or whatever) without translation into your native language. Remember if the editor does not need to waste time translating your news, this only increases the chance that it will be published. Another important point that is overlooked during preparing a promo. While emailing with the person who you are asking for something, do not neglect polite communication and do not forget that no one owes you anything. Don’t be rude. Don’t send reminding letters without the need. Don’t apes, sending punctuation marks — ??????????? — just because no one answers your messages. You will simply be added to the blacklist, and your news will never be published. Try to respond in time to the letters of the journalists, in particular when they want to clarify some moments of your press release. If you can't answer a question immediately, apologize and warn that you’ll do it later. If you show a low level of interest, most likely, journalists will ignore your letter. Don’t lie! No matter how much you want to get a feedback on your email, do not manipulate and lie to people who regularly read tons of press releases. The text of the press release — X band believes that their music would be an excellent soundtrack to a fantastic film. The same applies to both self-invented regalia like "the metallest band of Ukraine" and glossed achievements — if the jury of X contest have named your band "the best", then this is only a victory in one contest, even international, so do not forget to specify who exactly gave you this title. Example: The best metal band of 2018 according to magazine N.
And the last thing is to re-read the press release carefully or give it to another member of the group to avoid mistakes in the text or sending the wrong letter. Harmful example: The manager of one band once has sent Noizr Zine’s editor a draft version of the text with her obscene comments. Our expert is Diogo Ferreira, the chief editor of the Portuguese metal and rock magazine Ultraje, who has 15 years of experience in journalism. 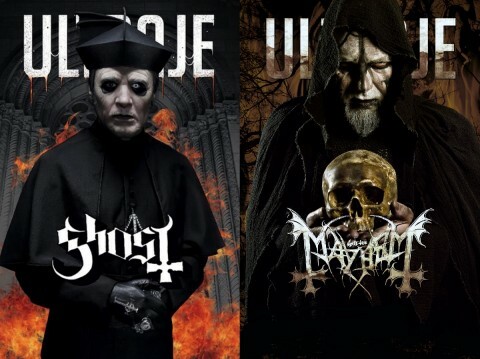 The physical version of Ultraje is published on a regular basis since September 2015, on its covers have appeared such well-known bands and musicians as Ghost, Zakk Wylde, Dimmu Borgir, Kamelot, Mayhem, and Moonspell. For now, the magazine is issued bimonthly in a print run of 5000 copies. 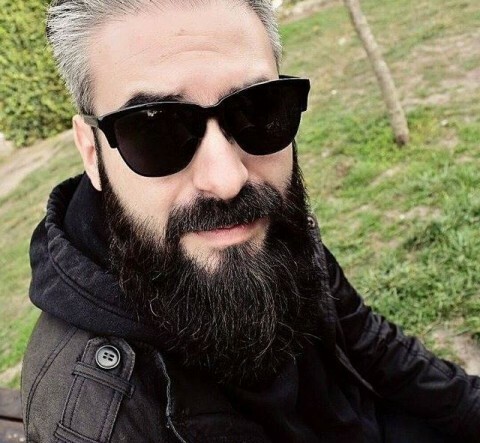 Diogo himself not only directs Ultraje (including its online version ultraje.pt), but also prepares interviews, writes reviews and scripts to videocasts, appears on television, and also daily responds to promo emails and messages from the bands. Below are his advice and comments regarding music press releases. How many promo files (emails, post letters) do you receive per month? What percentage of them do you read? Diogo: I can’t be precise, but we receive thousands of emails featuring digital promos, news, and requests. When we started Ultraje, as a website in June 2015 and then as a printed magazine in September of the same year, I wanted to help every band and every label. I’m in this for 15 years, so I know how things run and, yeah, I wanted to help everyone. I was working on Ultraje 24/7, but it’s impossible to help the whole world and then tiredness strikes you. The raw truth is that Ultraje is a company which is inserted in a certain industry – that’s music. We need to make money, we need to be close to the big ones (bands and labels) in order to also be big (among magazines). I’m only one person with a lot to listen to and to write, and I can’t lay my eyes and ears on everything, even if we have people writing for us. But we are always alert to the Portuguese bands and we have the care to include a lot of interviews and reviews regarding Portuguese stuff both in our website and in our printed magazine. 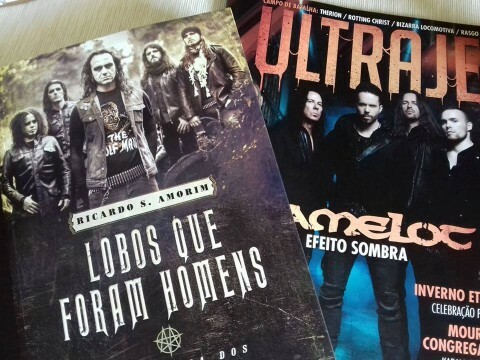 At the end of the day we, at Ultraje, love the underground scene but we must put food on our tables, so there must be a huge room for biggies like Ghost, Zakk Wylde, Dimmu Borgir, Kamelot, Mayhem or Moonspell (just to name a few bands that already featured Ultraje’s covers in the past). What are the most common mistakes/shortcomings of press releases could you name? The most ridiculous press release that you’ve ever received. Diogo: You know you’re dealing with amateurs (nothing against them, everybody has a starting point) or people disconnected to the reality of the industry when some band or label sends you an email with a YouTube link asking to share it in our website. No courtesy, no information – nothing, just do it. It pisses me off. I know I also must do my job by seeking matter/information for my articles, but when bands are the first ones to approach a magazine, and not otherwise, they must be smarter than that. They must sell their essence and their work, and it seems they forget about it a lot. Magazines don’t perform miracles unless all the parts roam the same way. 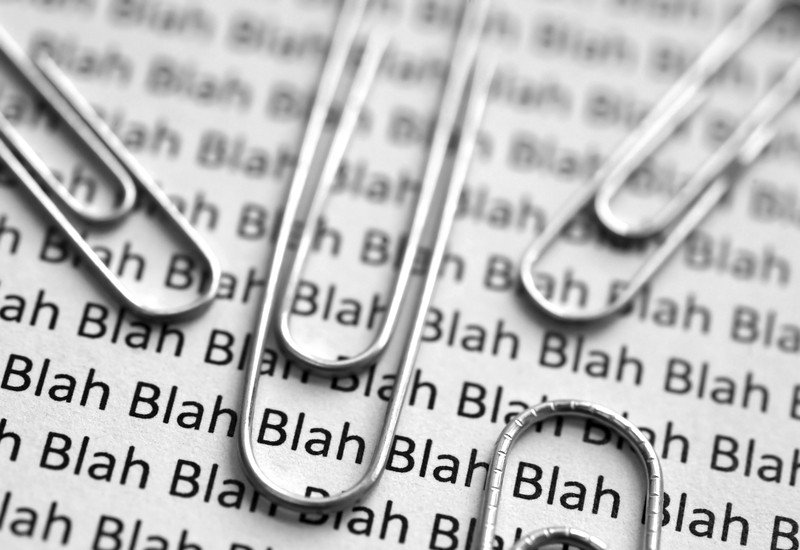 What kind of press releases do you most often (or in the first place) pay attention to? Any advice for bands? Diogo: When you open an email that has a professional presentation with logos, links, texts, and images it’s easier to get the motivation to work around what you just received. This is the complete opposite of what I referred in my previous answer. Bands must sell their work of art by all means. So, in order to catch press’ attention, all bands/labels must offer a cool and professional presentation with a lot of information regarding themselves (if we’re talking about interview or review requests). As an editor of a printed magazine, do you have any special requirements for a promo? Diogo: The same requirement I’ve been pointing: a lot of information. One thing is to seek substance with an interview conducted by us, other is to receive content the magazine didn’t ask for and we’re not obligated to share it. Therefore, if you have a label or a band and wish to get in touch with magazines, please elaborate a cool email with the most information you have about yourself, especially music-wise!